Operating from facilities in 30 countries worldwide, Chr. 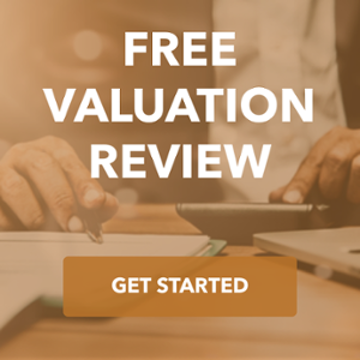 Hansen is a global biotechnology company that provides ingredients to the food, dairy, human health and nutrition, and animal health industries. Following its acquisition by private equity group PAI Partners in 2005, Chr. Hansen decided that the Specialty Sweetener Division (the “Division”) did not fit within its growth strategy. Chr. Hansen hired the TKO Miller team to market the Division to select strategic buyers and to structure the transaction to achieve maximum value for its two facilities and extensive product line. 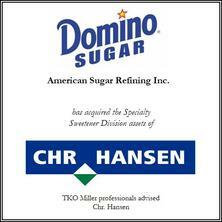 The Division was sold to American Sugar Refining, Inc., the largest cane sugar refiner in the United States, whose products are marketed by Domino Foods, Inc. and include such household names as Domino®, C&H® and Florida Crystals® brands among others.